Our books and DVDs help you get started using your MAGIX software to edit digital media. The easy-to-understand information explains everything you need to know about the most important features in individual programs. Whether fun, emotional or simply spectacular, slideshows are a great way to share your most treasured memories and moments with friends and family. But what makes a slideshow really great? How can photos be brought to life using MAGIX PhotoStory on DVD Deluxe? How can you get better results when taking your photos? You'll find the answers to all of these questions and much more in this book! Whether you're a beginner or advanced user, this book has lots of useful information that will help you to create unforgettable slideshows! 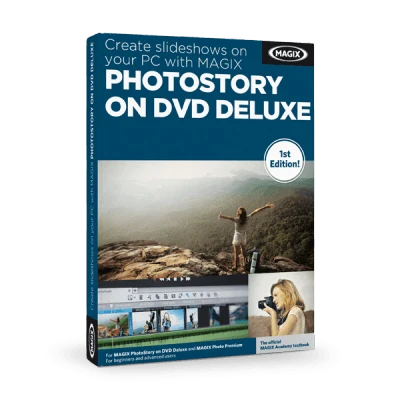 In addition to all of the basic fundamentals, the authors also explain all aspects of MAGIX PhotoStory on DVD Deluxe in fine detail and show you how to use all of the program's design options to get the absolute best results. They also provide tons of valuable notes, tips and tricks about the art of digital photography. Discover all of the amazing possibilities for slideshow creation and become an expert with the official textbook of the MAGIX Academy. 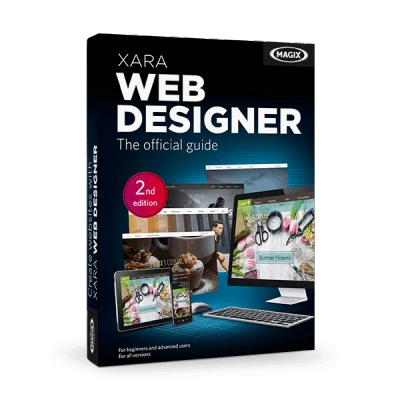 Learn to design your own websites with the official MAGIX Academy textbook. This book provides step-by-step instructions and tips on how to design, optimize and publish your own website, it is suitable for anyone from beginners to advanced users. This book contains 14 chapters, each written in a clear, yet descriptive style. The useful tips and screenshots featured in this book enable you to get your Internet presence up and running in no time. Create impressive websites in just a few steps even without any programming knowledge. Regardless of whether you want to design a website for your club, business or just for fun this book provides you with all the relevant information on how to design, optimize and publish websites.